Middle school was when I learned that movement is one of the characteristics of living beings. Humans have been displacing themselves from the beginning of time, for a number of reasons. “My family told me to drop everything and leave”, that was the beginning of an inspirational migration story. When the pushes outweigh the pulls, there becomes a necessity to move and that is why Nyarieth Rieck left everything behind to make a better life for her and her family. My essays focus is Nyarieth Rieck. She is the proud mother of six children, one of whom happens to be my roommate and best friend. I had the absolute honor of interviewing her over a video call while she cooked one of favorite traditional foods from her beloved home called Malag. Mrs. Rieck’s migration story is one that touched my heart, changed my perception of migrants and one of course, that I will never forget. 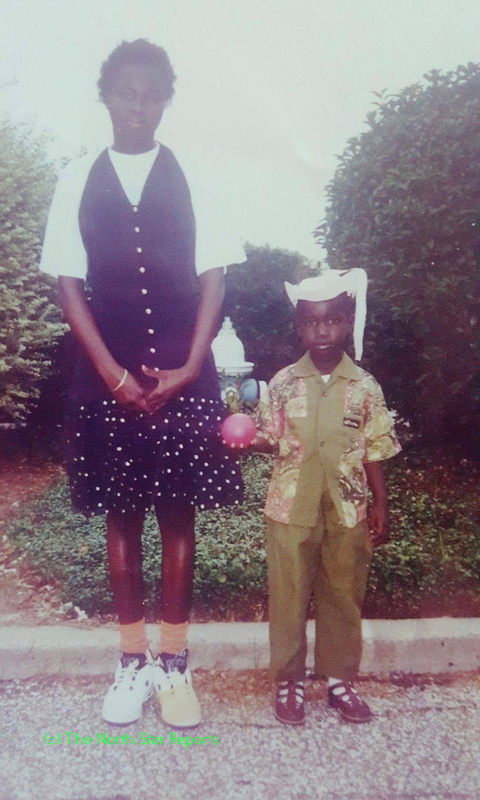 She, her husband and her cousins fled war in their home country of South Sudan in 1995 to find better opportunities from themselves and their struggling families at home. After a year-long process of getting the necessary documents, they finally moved from Gambela to Nashville, Tennessee where she had the chance to live her life outside of constant fear for her safety. Humans are afraid of death. A concept that propagandist use as a technique is one of the main reasons Mrs. Rieck migrated. She absolutely loved her country, thrived in the community and had already found a husband to settle down and have a family with. Why would she, willfully, just up and leave everything? This exact question came up in our class discussions as well; how bad did the situation have to be to leave your home to go somewhere that is completely foreign and uncomfortable for you? No other options. She left her home, arrived in the United States and suffered to get to where she is today. “We were on our own, we did not know anyone, we had no jobs, I was pregnant and we did not speak the language very well and we had no support from anyone”. Our identity is a crucial part of our existence. We use our identity to understand and learn more about ourselves. “When I first arrived in the US it occurred to me that I did not look or sound like anyone else. It was very difficult at first but after a while, it helped me realize how proud I am to be a Nuer from South Sudan”. Another aspect that plays a role in the whole migration process is the host countries opinions and attitude about these incoming migrants. Are they seen as new neighbors or parasites who have arrived to destroy the economy? This is another important issue that Mrs. Rieck struggled with when she moved away from her home. When asked what story she would share with her new neighbors she beautifully said “I used to wake up at 5am to be ready for school, I would walk a long journey to arrive at school where I was always the number one student! When school finished, my mom was still making dinner so me and my friends would meet at The Nile river and go for a swim. We would be there until sundown or until my mother called me back. We all enjoyed life, no technology! I would tell these neighbors that my home was perfect. It was peaceful, beautiful, everyone was loving and you felt a sense of home.” It was very interesting to see the varying perspectives that people have. Nyarieth is a strong woman who works hard at her job to provide for her family here and all the way back home. We discussed as a class that countries do not want to know about the migrants’ presence necessarily but they want to see their work paying off in said country. Mrs. Rieck is a living, breathing example of that hard work. Power plays the most important roles on the migrants of today, especially. Man-made borders, public policy debates on refugees, immigrant laws etc. people above you get to decide and alter one’s identity in more ways than one could count. Often migrants are essentially puppets being controlled by powers that are out of their control. Nyarieth Rieck never let these factors bring her down, however. “I can now work freely, my children have endless opportunities and I can financially support my family back in South Sudan, that is all I need”. Leaving one’s home and only having a fading memory to remember the details can be hard on a person. Mrs. Rieck was lucky enough to bring a photo of her mother and as she says “it always reminds me to stay strong because one of the reasons I need to stay strong is to help her”. She keeps this photo on her bed-frame to look at every night. Migrants are people with feelings and families, let’s treat them as such. One of the most important aspects of migration that I think we often forget about is human dignity and nature. When thinking about migration and the issues around it, let’s focus on our nature. Humans are meant to move, humans are afraid of death, humans are rational beings who will seek out the best for themselves. Let’s listen to, appreciate and respect individual stories before making a judgement about a migrant that could have been or might be you one day. From Professor Liang’s Fall 2018 Introduction to Political “Science”. 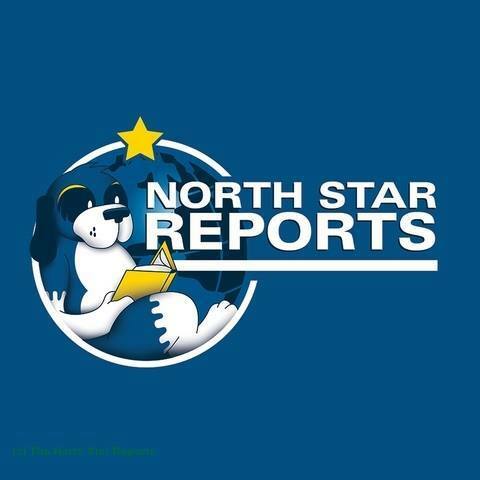 Madina Tall serves as an editor for The North Star Reports. Professor Hong-Ming Liang, Ph.D., Editor-in-Chief and Publisher, The North Star Reports. Kathryn Marquis Hirsch, Managing Editor, The North Star Reports. Ellie Swanson and Marin Ekstrom, Assistant Managing Editors, The North Star Reports. Thank you for sharing this beautiful story. You address a number of key points that we have been discussing in Professor Liang’s Human Rights class. I am particularly curious about your point, “Often migrants are essentially puppets being controlled by powers that are out of their control.” I think you are cluing in on one of the major ideas that a lot of Americans don’t understand. Often times, it seems, people make judgements prior to understanding the intent of others. I think much of today’s misconceptions could be pacified by an understanding of the power that often dictates people’s lives, the push that leads people to leave their home which they love. People don’t just come to America, “to take our benefits and jobs.” The truth is, there is that complex push/pull relationship that you touch on in your piece, and often times people don’t even really want to leave their countries, they have to. How would you suppose we move rhetoric to a place in which people are more understanding of this concept, and therefore, of each other? Thank you, Madina, for this wonderful report about Nyarieth’s immigration story from South Sudan to the United States. I very much enjoyed how you portrayed Mrs. Rieck identity with the story of her and her friend swimming in the Nile. Immigration, as discussed in Professor Liang’s introduction to Political Science class, is an extremely difficult process that not only can affect the physical self, but also the mental. Leaving everything behind you in escape of war, persecution, and violence is a last resort option that I hope no body has to experience. However, this is a very common phenomenon that much be noted to those that hold the power in the world to do something about it. The lives of others are being threatened everyday, whether across the Atlantic Ocean, across the Mexican-American border, or even across to the West side of Duluth, there are people that need the help of the powerful to free themselves from the systematic oppression of society. There are many difficulties, however, with preserving ones identity in a completely foreign land when even language with a boundary. How might one try to balance these competing factors of fitting in, but also staying true to ones own cultural traditions? Thank you for the comment Reid! As for your question, I think one of the biggest factors is acceptance. Accepting the disconnection to ones homeland, accepting the fact that there is a new and beautiful culture to learn etc. I think that a persons mindset can make or break a situation. Staying true to ones culture doesn’t mean pushing out other influences, rather appreciating, remembering and loving ones own culture. I hope that answers your question! Thank you for sharing this honest and inspiring story. When I think about immigration I also think about the living situations people have to be in in order to completely leave everything they know and move. This is a hard reality to face because I have always lived comfortably. It can be hard to think about how easily most people in the United States have it compared to the struggle of many people throughout the world. It is interesting to me that you decided to add that humans are afraid of death. I have always seen Death as a motivator for humans because we work so hard to live our lives to the fullest and to escape death. It is going to happen whether we want it or not. It is important to me that people are able to be happy and feel comfortable with there lives. It is important to share individuals stories to help the world see why we need to advocate and accept immigrants who are just looking to have a better quality of life. Thank you for sharing this beautiful story! I can definitely see how Mrs. Rieck has to be a woman of strong willpower, considering the effort it must have taken to completely uproot herself and her family to move to a distant, unfamiliar land. I wholeheartedly agree with you when you say that “Migrants are people with feelings and families, let’s treat them as such.” I feel that it’s easy to fall into the cognitive shortcut of seeing people migrating as a statistic and not as individuals with hopes, dreams, relationships and aspirations. In a time when leading politicians seems to combine this view with an aggressive rhetoric and accusations of “invasions” and “infections”, it’s even easier to develop negative attitudes towards these people who put everything on the line in search for a better life. After all, where you’re born is completely arbitrary but determines a great deal of what rights you can take for granted and not. I therefore find it revolting to accuse common people that tries to improve the hand that they’ve been dealt of being infectious agents. Thank you for sharing this story with us. I can not imagine what it would be like to have to flee a ‘home’ you have known forever in fear of death. I agree sometimes the pushes outweigh the pulls. I left Canada for a new opportunity and see somewhere else while others leave their countries due to wars and seeking a better life. I have no idea how to relate to having to leave somewhere you know so well because of factors like that, I have always lived comfortably and I am grateful for the life I have been given. I am also grateful for people who share their hard experiences with me because it is very eye opening and allows me to have a different perspective. This is quite the story of bravery for a woman that had to leave so much behind to make a better life for her family and herself. I thought it was very interesting about how much she misses her home food, I think that food is such a cultural identity and it would be hard to be immersed into a new culture of food and not miss the old one that you grew up with. The fact that she may never see her mother and father again really resonated with me because they are giving up so much for their new life in America. I think most people here take for granted the safety that we enjoy on a daily basis. I wonder what made her pick Nashville, was it chance or planned and why? I would enjoy reading more on this story of bravery. Thanks for sharing! Thank you for the story. I am particularly impressed with your line “when the pushes outweigh the pulls”. I found myself engaged immediately by this idea, we have been talking about push and pull factors in Professor Liang’s class, but we haven’t necessarily talked about how some things push and pull in the direction of home. Power dynamics is another issue that I worked toward understanding over the course of this year. I feel as though your post has given me a way to practice what I learned over the course of this year in class, and I am actually able to apply it. Thank you for sharing this story on Mrs. Rieck and her journey to America. I think it is very important what you brought up about what would it take for someone to leave their home country for a completely different place. To many times I believe people look at immigrants coming from poorer countries and assume the immigrant is thankful and only joyful about coming to somewhere with new opportunities. In reality it must be very hard for someone to leave their home and as you mentioned for Mrs. Rieck to leave their mother and other people and places they knew behind. Even though the area they live in might be dangerous it is still their home and many memories and feeling are attached to that place that we shouldn’t look at immigrants as people coming here to take advantage of what our country has to offer but as only doing so out of necessity. Lastly, language is such an important aspect to someones life and I can’t imagine moving to a new country and not being able to communicate with anyone. It is interesting that in public schools language is taught because it will be useful for work possibly someday with the world globalizing, but it may also be more important if we are able to speak their language and give an immigrant one thing so that they may be able to have a better sense of home. I really like the reference you made to the push and pull factors of immigration. For Mrs. Rieck to leave her mother, her former living situation had to have been severe enough to risk the pain of family separation. She sounds like a very strong woman, and people that have the strength to move themselves and their family from a location of suffering, through a maze of dangerous scenarios, to a land of greater opportunities generally end up with an incredible strength of mind and many stories to share. I especially liked your end statement about human nature. Even though we need to be cautious of oversimplifying, the basics of people moving around, being scared of death, and generally seeking out the best for themselves allows us to put things into an easier-to-understand perspective. Thanks for sharing! Thanks for sharing your story of bravery and determination. When reading this through the first time, the idea that really struck me was when you talked about how bad it must have been for her to up and leave everything she has ever known. We’ve talked extensively in Professor Liang’s class about how someone’s situation has to be extremely bad for them to want to leave their homeland. It’s hard for me to even imagine myself in Mrs. Rieck’s shoes because I can’t even fathom the idea of moving across the world. As Americans, when we hear off struggles in far off countries it is hard for us to imagine and hence we treat the migrants as such. I think it would be extremely beneficial for Americans to learn about the horrors that other people have to endure so we can help them accordingly. Thanks for sharing this story. Stories like these should be cherished and repeated so that we all can appreciate the things that others do for the betterment of their families. One piece of your article that I found very interesting is the struggle of potentially never seeing members of your family again. This is an aspect of migration that I rarely thing about but it is absolutely a pivotal part of the decision making process. It also supports our class discussion regarding how bad needs to be for them to leave their home. I commend you on the way you were able to tell Mrs. Rieck’s story in a way that showcases her drive and love of her family. This article was really interesting to read and it really shows immigration is a natural part of being a human being. I really liked how you concentrated on the idea of how humans are afraid of death and will always seek out better opportunity’s. Humans are creatures of habit and throughout history have moved to news lands and made new homes for themselves. Many of these immigrants all have families and all deserve human dignity from others. Even though immigrants move to new lands, they will miss aspects of their homeland like the food and culture. Overall, immigration of humans is nothing new and it allows are culture to be enriched with different or unique cultures. Thank you for the thoughtful response! I think something beautiful that also came out of this was the merging of cultures. All of her daughters including my roomate love to talk about their culture and teach other Americans about what it means to them to be here as well. Which I think is really cool! I hope more immigrants share their stories because we can really make a difference that way! This is a wonderful article and I admire your ability to tell a beautiful story. Your last point really hit home for me. Migration is a normal part of the human experience and wanting the best for ourselves and our families is a normal human instinct and should not be criminalized or barred because of politics or national borders. I am currently doing research for about identity and borders and I cannot get past how human made and arbitrary border are. Society claims they exist but in the natural shape of most border there is not distinguishing one place from another. Humans have been migrating long before those borders were stated to exist and humans will continue to migrate long after. It was sad to hear about the reasons for Mrs. Rieck and her family to leave their homeland. However, I think her perseverance and positive attitude is very hopeful and uplifting. Wonderful job and thanks for sharing! Let me start out by saying i love this story and how you go about telling it. You have so many good points and topics that we need to spend more time on in our everyday lives. How can any country see people in trouble and decide that the people who flee with their lives could ever be parasites? Also the fact that who does ever want to leave what they are comfortable with to go to said place that treats them with disdain. I do like how you bring up man made boundaries, and how people have been migrating forever. How can these two ideas exist in the same world? I am glad that you were able to tell this remarkable story and i hope life continues to go well for all involved. Thank you for this article. I think you touched on a number of things people forget about human migration. One of which is that no one necessarily wants to leave the home that they love. There is always a reason someone migrates, and more often than not, unfortunately, today it is because their home is too dangerous to stay in because of war, poverty, discrimination, etc. Because of this, I am glad you pointed out that migration is often out of the migrant’s control. Additionally, the point you made that one day we might be the migrants is spot-on. I agree that people today usually don’t think that being forced to migrate could ever happen to them when in reality, it is a possibility. Thank you for sharing such a heartfelt and honest account of human migration, Madina. I couldn’t agree more with your concluding paragraph and how compassion for such a natural human occurrence should be the norm. My heart goes out to Mrs. Rieck, I cannot imagine leaving my mother behind with no certainty ill ever see her again. It takes an incredible amount of determination and strength for one to migrate to a foreign place and leave so many pieces of home behind and I admire everyone that is able to do so. I wish the feeling would be mutual among most people, perhaps our world would know a little bit more happiness if this were the case. This is such a beautiful article that captivates Mrs. Rieck’s story in a dignifying way. I have to agree and support many of the points that you bring out about immigrants and refugees. Frequently we treat then like statistics, they are just numbers of people that have been displaced. Often enough we forget that they are humans and their stories do not start with the fact that they are refugees or immigrants. We need to look back and tell their stories from the beginning, a moment where they were people who had different roles in their home societies. They are humans who have meaning, but their lives got disrupted at some point, changing their life course. With that said human dignity is a key point that needs to be addressed when it comes to refugees and immigrants. Another thing that really caught my attention is the idea that Mrs. Rieck saw herself as different when she arrived in the states. She did not let her difference wary her down, she chooses to work with that and empower herself. I think that is very beautiful and needs to be exercised and a full amount. Thank you for sharing. Hello Madina, thank you for sharing the story of Nyarieth Rieck and framing the story in a way that respects the dignity of every migrant as a human being, as you encourage us to be empathetic and understanding when you write, “Let’s listen to, appreciate and respect individual stories before making a judgement about a migrant that could have been or might be you one day” (Tall). In fact, as you point out, the only way we can begin to understand someone’s story is to listen to them and ask thoughtful questions to get to know them and their story at a deeper level. I find it very humbling that Ms. Rieck is reflective on her own choice to come to the States, as she had to leave behind her family and mother in South Sudan. I am sure as the years go by since she was last in her home country, the separation between herself and her family does not get any easier. I have experienced this on a smaller scale myself, as my parents decided to move my immediate family from rural Northern Maine to Wisconsin when I was in middle school. We left behind our entire extended family on the east coast, including my grandparents. Not being able to be with my extended families during holidays is something I personally miss the most, but I am fortunate to stay in touch with them via phone and letter writing. Thank you, Madina, for this beautiful article. While we all have a migration story we connect with, there is incredible diversity between each one. I love your appeal to people’s humanity throughout your writing; even though that is one of the points of telling these stories, I think you have woven the message in wonderfully. This migration story strikes me because Mrs. Rieck made the journey whilst pregnant. We consider the danger of migration whenever we bring it up, but additional factors like pregnancy, or disability, or what have you, can increase the risk these migrants face. It is hard for me to fathom the pros and cons that migrants have to weigh to decide when to leave and where to go. The separation from extended family for the sake of one’s new family is unimaginable, but knowing the life that can be made away from war is a pretty convincing reason to leave. On the subject of food, isn’t it strange that some things just can’t be recreated away from home, even with today’s globalism? Thank you for sharing this amazing story! Migration has become a huge arguing point in many current political discussions. I think many of the people in charge of maing laws and deciding what happens with immigrants are too distanced from the subject. Sometimes I feel they do not see these immigrants has people, only has a problem that needs to be solved, or an object to be taken advantage of. It was nice to see a story that ended well for one immigrant. Dina! I love your story. This reminded me of our Poli Sci class and our migration stories. One thing I think many of us learned was to have an open mind. As I remember thinking about during my presentation, is that I will never know what it is like or feel the same exact as other migrants might feel. With that being said, I think it is up to me to be open and to listen to their story and try to understand what they feel or why. You are right as this is a very touchy subject now days, but I think the best remedy is to listen. Thank you for presenting such an inspirational story of an amazing woman. From what I know about South Sudan’s wars, they have been hellish and to get out alive from that situation doesn’t sound easy. Throughout this story you presented some beautiful themes of strength, and power, and dignity. I really liked your point about dignity, however, as I believe that a lot of modern rhetoric about immigration often strips away the dignity of people and reduces them to numbers. This process neglects the humanity that we all share, and to highlight this experience and the dignity of immigrants such as Mrs. Rieck is incredibly important. Thank you. Thank you for sharing Mrs. Rieck’s story. She seems to be an incredible, optimistic person despite the challenges she has faced. Did she happen to mention why she likely won’t go back home to visit? Is the situation still too dangerous? Is it the expense? The trouble of getting back to the US? I’d be curious to know. I’m glad Mrs. Rieck seems to have found what she was looking for in the United States and that her children have had the opportunities she wanted for them. This truly is a humanizing and humbling story. Thank you for sharing your story. I thought it was really inspiring and brave for Nyarieth to leave her family and village behind to make a better life for herself. I do not know if I could deal with never seeing my mother again because my mother is my rock; however, everyone is different. The fact that she knew she had to create a better life because of the harsh conditions in her country must have not been an easy decision. As for the political side, migration is definitely one of the top topics discussed about today. I think that each person has their own opinion about how they feel about migration, but I do agree with you. Those who have close-minded opinions should really try to be more open-minded and try not making judgments because not everyone is the same. Again, thank you for sharing!